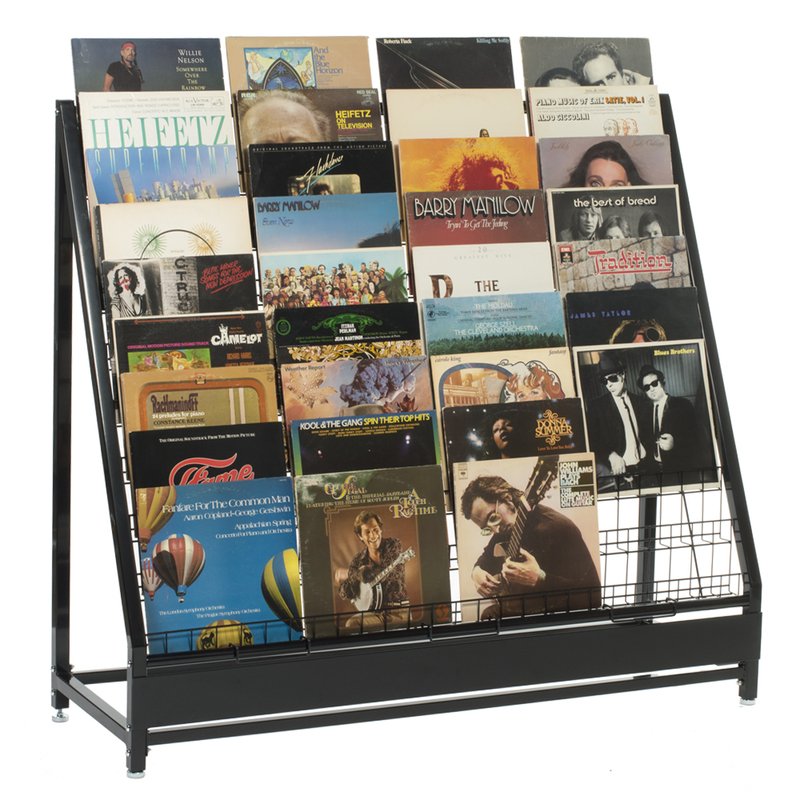 Great LP Display Rack for Record Stores and Used Music and Media Stores! This floor standing retail record display is designed for quick access and optimal display of vinyl record albums. The 9-tiered design displays 4 LPs across, you can stack up to 7 LPs within the 2 inch deep shelves to display a total of 252 LPs. Features straight back design which is perfect to use against the wall, or back-to-back in continuous runs. Bottom metal sign plate add-on unit can hold a 54 inch wide sign, contact us if you need to create a signage with custom messages.